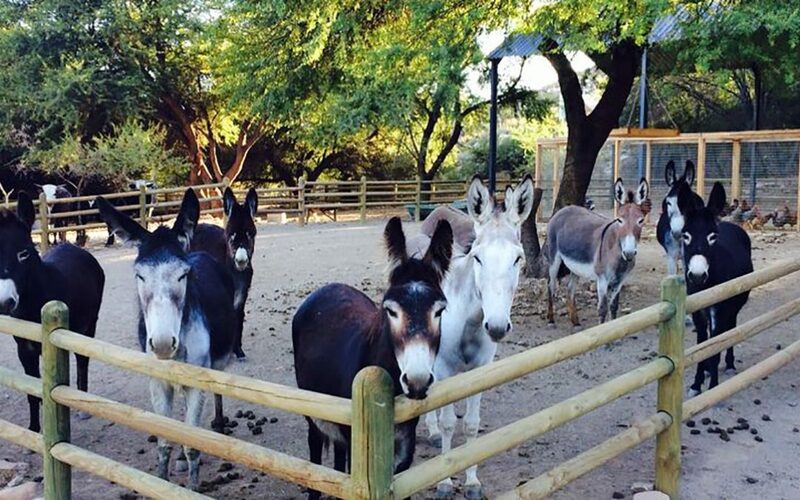 The Karoo Donkey Sanctuary is a registered Animal Welfare NPO and is located on a private farm, two kilometers outside the picturesque village of Prince Albert, at the base of the majestic Swartberg Mountains and at the gateway to the Great Karoo region of South Africa. Following our historic rescue of 236 donkeys and 30 horses, all destined for slaughter at the infamous Hartswater auction that took place in January 2017, by virtue of our numbers, we are recognized as being the largest donkey rescue centre and sanctuary in Africa. With the current global donkey population estimated at 44 million and with an estimated 10 million donkeys being slaughtered per year to supply the Chinese demand for their skins, this rush has created a global donkey holocaust as the insatiable market demand for skins is driving a grizzly industry right on our very doorstep.